New Zealand School of Dance contemporary dance student Chris Clegg. Photo by Stephen A’Court. Auckland’s Atamira Dance Company, which creates and presents Maori contemporary dance theatre for Aotearoa and the world, has announced Kotahi, a unique international collaboration between the company and NAISDA Dance College in Darkinjung Country (Australia). 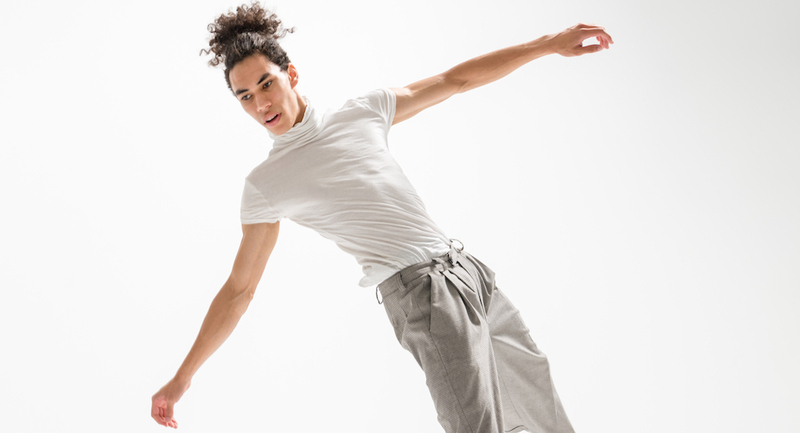 Three new contemporary dance works will be presented over two distinct programmes, showcasing the talents of senior choreographers Louise Potiki Bryant, Jack Gray and Frances Rings. There will be a post-show artist talk with Kotahi choreographers following the Friday performance, followed by a live DJ and kai in the Q Barefoot and Thompson Lounge. Kotahi I opens Tempo Dance Festival on 4 October, and Kotahi II is presented on 5 October. For tickets, including a Double Deal, visit nz.patronbase.com/_QTheatre/Productions/T806/Performances. New Zealand School of Dance (NZSD) full-time contemporary dance tutor James O’Hara has created a full-length work, Movement. A Manifesto, for the 2018 graduating NZSD contemporary students. This new work will be performed at Tempo Dance Festival on October 6 and 7, in Auckland. For tickets, visit www.tempo.co.nz/whats-on/movement-a-manifesto. NZSD students Isaak McLean and Teagan Tank. Photo by Stephen A’Court. The NZSD Graduation Season is 21 November – 1 December, and will also mark the 20th anniversary of the School’s Director, Garry Trinder. Graduation Season brings together the hard work of accomplished students and distinguished tutors in two productions of classical ballet and contemporary dance, alternating each night throughout the season of 12 performances. For more information, head to www.nzschoolofdance.ac.nz. Full-time auditions for NZSD for the year starting January 2019 will be held in September and October. Applications are now being accepted and close 2 September. The full-time programme prepares dancers for careers in dance performance. Students major in either classical ballet or contemporary dance but maintain a strong base in both disciplines. Audition cities include Wellington (Saturday 29 September at NZSD), Sydney (Monday 1 October at Tanya Pearson Academy), Melbourne (Tuesday 2 October at Victorian College of the Arts Secondary School) and Brisbane (Thursday 4 October at ADPI/Brisbane Dance Centre). For further information and application details, visit www.nzschoolofdance.ac.nz/full-time-audition. NZDC Contemporary Class. Photo by John McDermott. 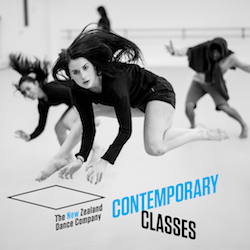 The New Zealand Dance Company (NZDC) has returned with its third term of weekly Contemporary Classes at the Wellesley Studios. Whether you are an aspiring young dancer preparing for tertiary study or an experienced dancer who wants to continue developing your technique, NZDC welcomes anyone with intermediate to advanced level of dance skills to join the weekly Contemporary Class with professional dancer Lucy Lynch. Classes are held every Wednesday from 6:30pm – 8:00pm at Wellesley Studios, Auckland. $15 for students and $20 for waged. For more information, visit nzdc.org.nz/contemporary-classes. The Royal New Zealand Ballet (RNZB)’s 65th anniversary season coincides with the celebration of the 125th anniversary of women’s suffrage in New Zealand. RNZB Artistic Director Patricia Barker has commissioned four female choreographers as part of its Strength and Grace season – Sarah Foster-Sproull (New Zealand), Danielle Rowe (Australia), Penny Saunders (USA) and Andrea Schermoly (South Africa). Remaining performances are 17 – 18 August at the Opera House, Wellington. Shows will be complemented by talks and workshops to inspire artists and audiences alike. To book tickets, visit rnzb.org.nz/shows/strength-grace-women.